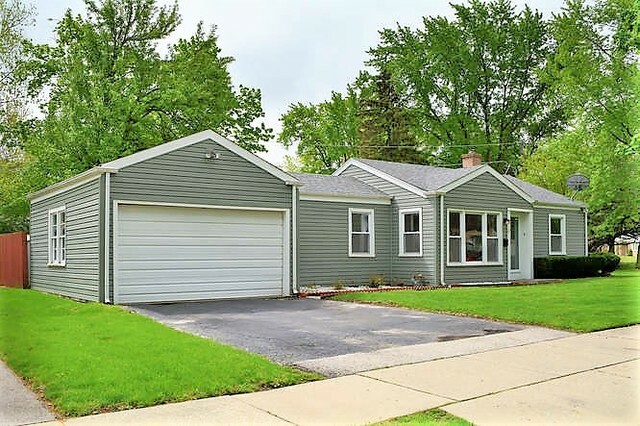 Newly UPDATED Ranch with a full basement! New Modern Kitchen with stainless steel appliances, granite counter tops, custom tiled back splash. Both bathroom completed updated with modern finished, Freshly Painted with Neutral colors throughout, New lighting fixtures, Sunny & bright living room, Separate formal dining room! Master Bedroom with en suite bathroom. Basement offers family room with bar and large storage area! Fenced yard with patio! Newer windows, roof & siding! 2 car attached garage! Convenient location, directly across from Community park, close to train and library too! This is NOT a short sale or foreclosure, Just PRICED TO SELL.